From stylish Fedora hats and colorful flower petal bars to late-night comfort snacks and confetti-filled balloons, I’ve handpicked ten ideas I’m swooning over this month. If you are planning an outdoor ceremony, keep your guests cool by blocking the intense heat of the sun with pretty pararsols. 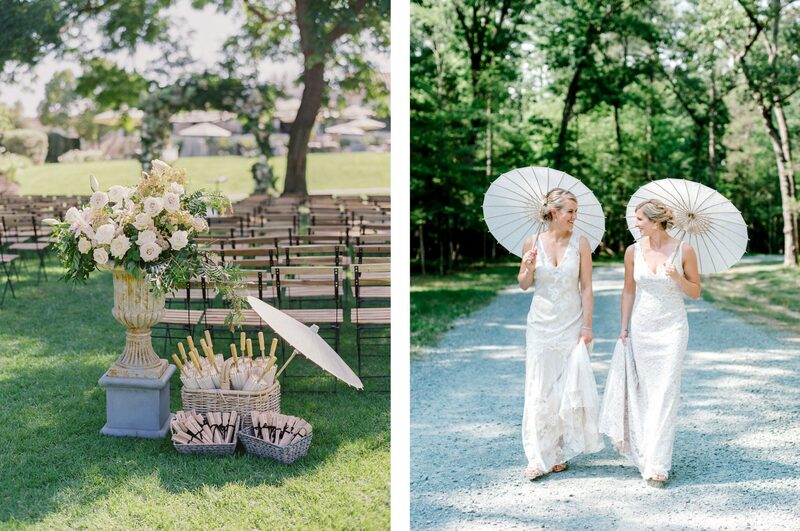 As a bonus, parasols are great props for wedding photos. 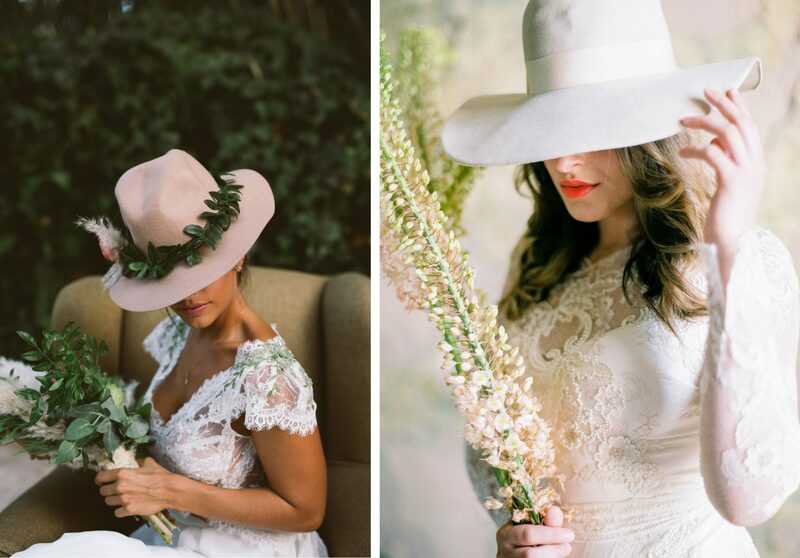 Feathers, florals, and hats. LOVE this stylish trend. 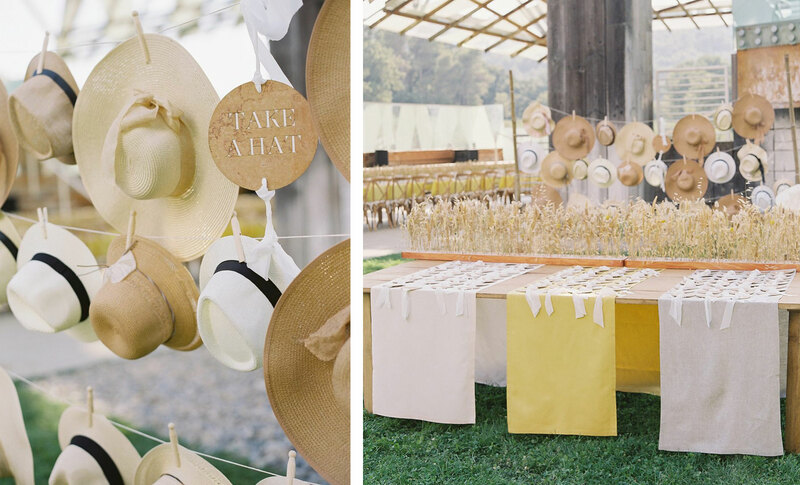 A “Take a Hat” station gives guests a fun opportunity to accessorize for their photos while also offering relief from the sun. This is also a fun seating chart idea! These guests created their own colorful petal cones to toss to the newlyweds at the end of the ceremony. 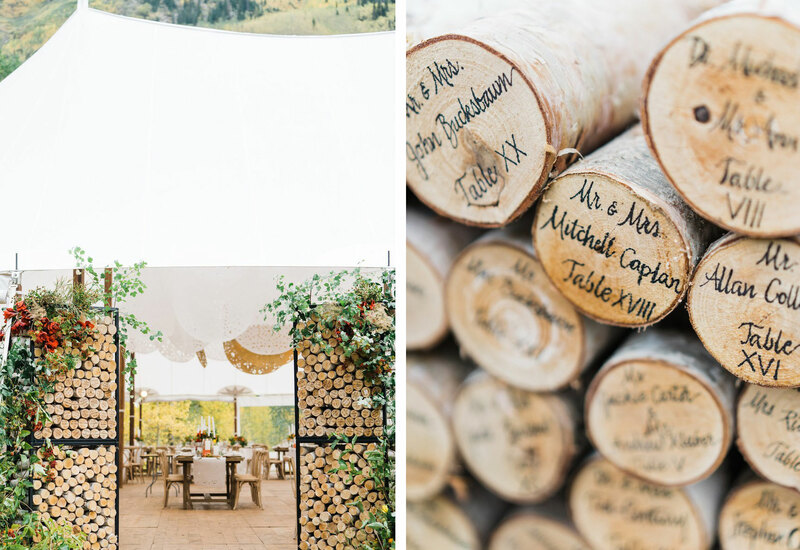 Stacked logs created a doorway into the tent and doubled as table assignments at this Aspen, Colorado wedding. Mini apple pies made from local apples and homemade jams made with locally harvested organic fruit are sure to please your guests. 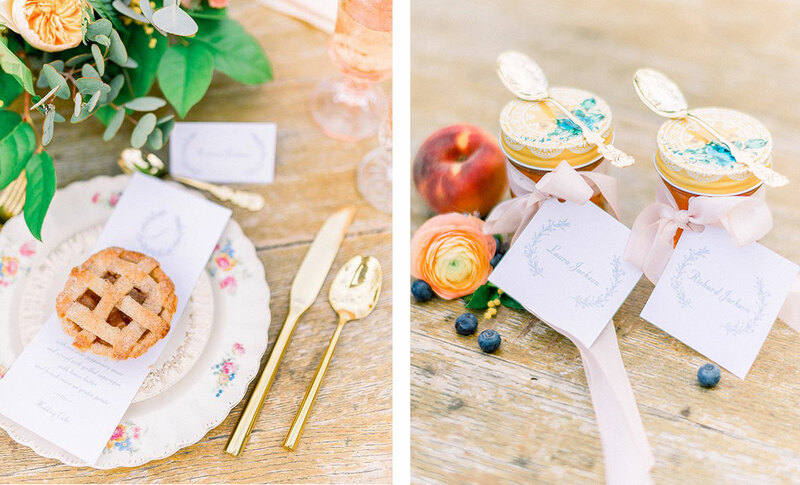 The perfect touches for the farm-to-table recepton. 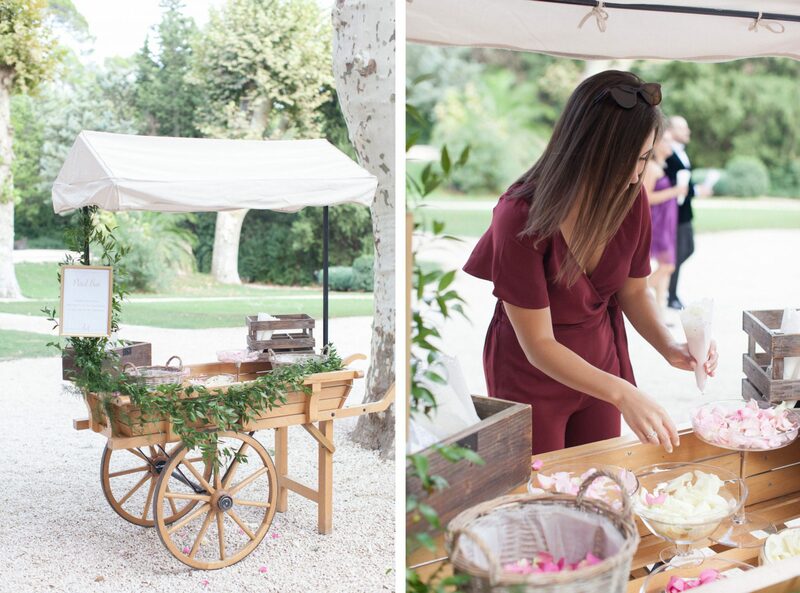 This unique rustic cake station is filled with a bevy of toffee apples, custom chocolates, doughnuts, and cakes of every size and flavor. 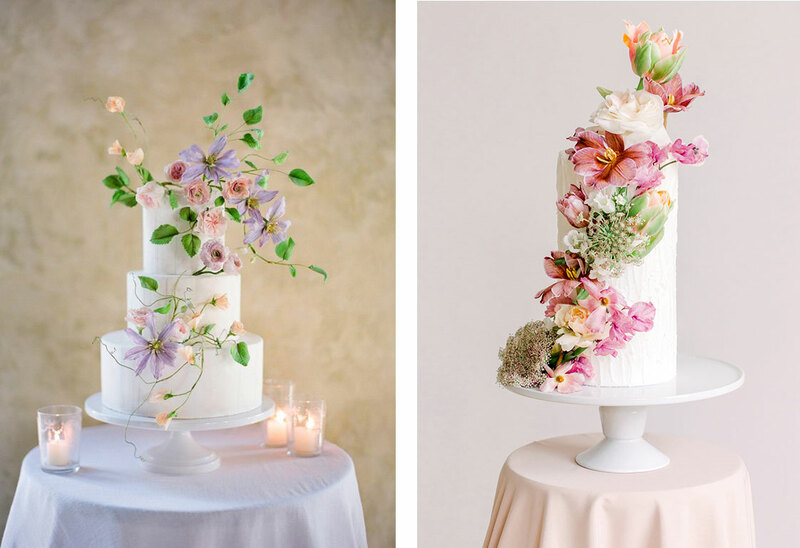 Simple white cakes adorned with pretty floral blooms. 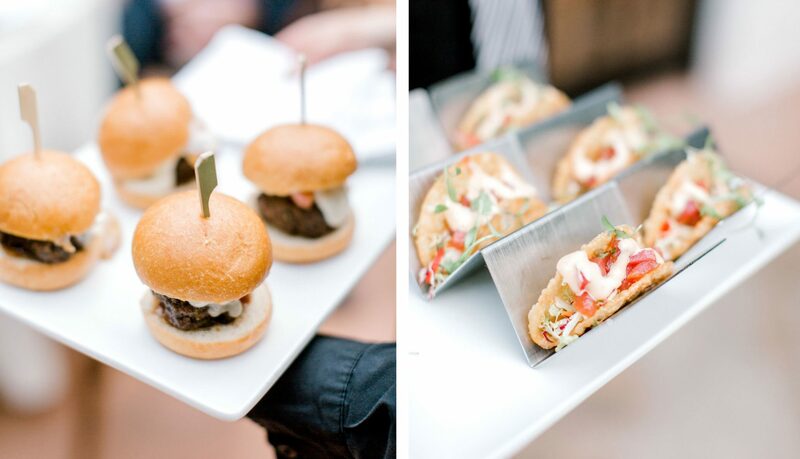 After a few hours on the dance floor, your guests would appreciate a late-night snack. Durango faves include burgers from Grassburger and tacos from Zia Taqueria. 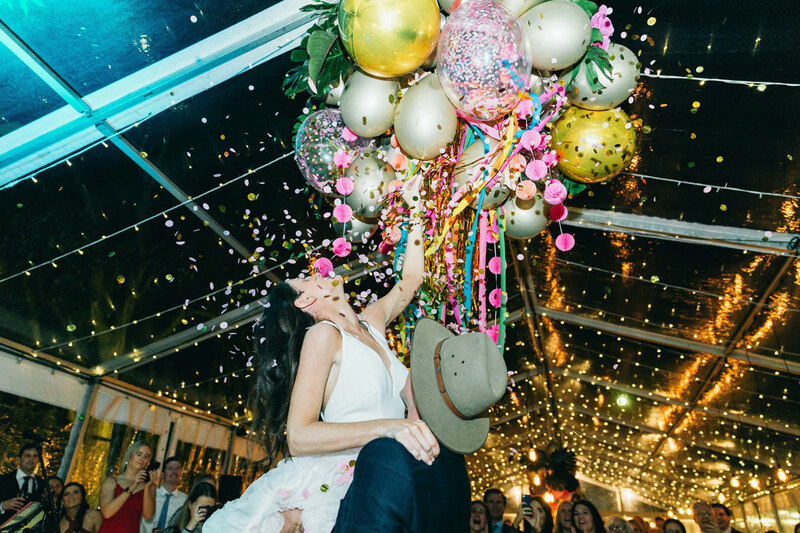 These newlyweds got the party started by popping confetti filled balloons suspended over the dance floor.